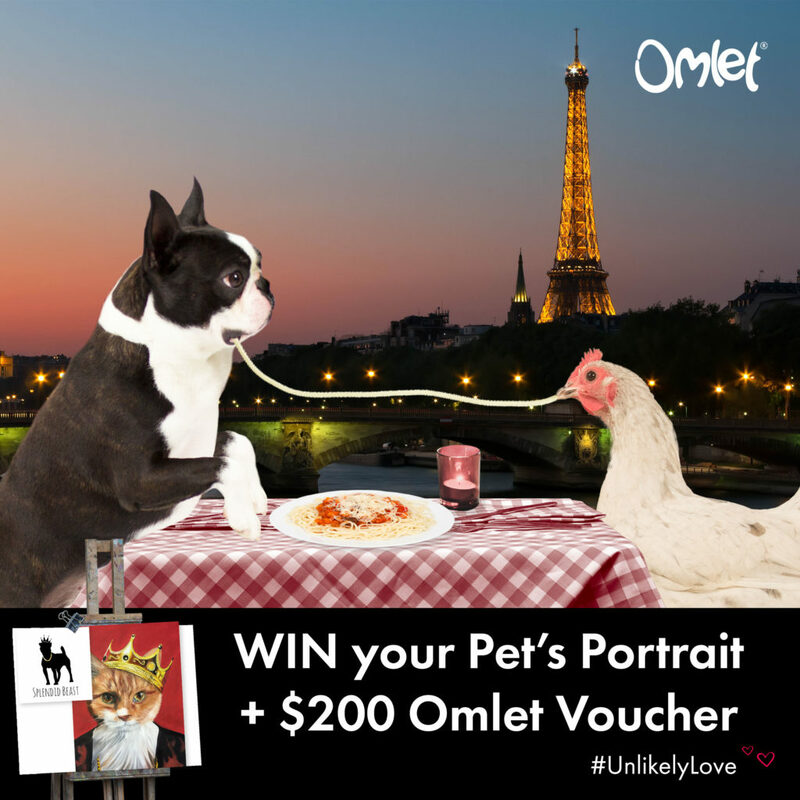 Now’s your chance to win a $200 Omlet Voucher and a 16″ x 12″ Pet Portrait courtesy of Splendid Beast Pet Portraits this Valentines Day! All you have to do is share a picture of a time you’ve captured a surprising friendship on our Facebook post, tweet us or tag us on Instagram with the hashtag #UnlikelyLove, winners will be announced at midday on Friday 16th February so you have until then to enter! Good Luck! Terms and conditions apply: The competition closes at 11.45am EST on Friday 16th February 2018. Entries are only applicable from social media channels. The winning entrant will be selected and notified by social media on Friday 16th February 2018. Omlet reserve the right to withdraw the competition at any point. Prizes cannot be transferred to cash. This competition is only open to US residents. Splendid Beast will produce a 16″ x 12″ pet portrait of your choice. Please allow two months for the portrait to be produced. « Heading On A Roadtrip With Your Dog? Check Out These Top Tips….